Newcomer Nihl is an up-and-coming menswear label that puts a focus on the concept of masculinity. It's not unusual for designer Neil Patrick Grotzinger to add dainty, pastel embellishments, such as intricate beading, to his work and he's also often inspired by his upbringing in the Midwest. Grotzinger attended both Pratt and Parsons, and worked under Marc Jacobs, Prabal Gurung and Diane Von Furstenburg before launching his own line. 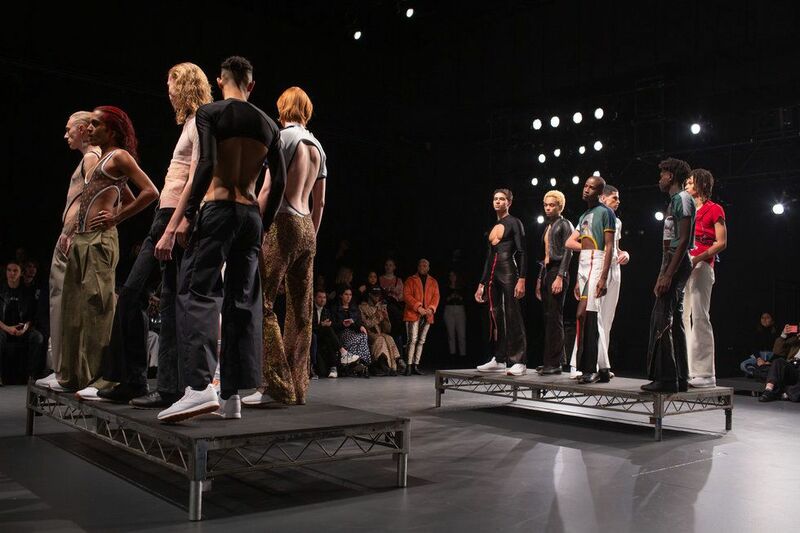 "I like to make the garments feel very sexually charged," Grotzinger told PAPER of his fall 2019 collection. "It was all about finding the right intimate moments in the male body that I feel are less highlighted or less accentuated." He continued, "Embroidery and beadwork has always been at the crux of what I do. 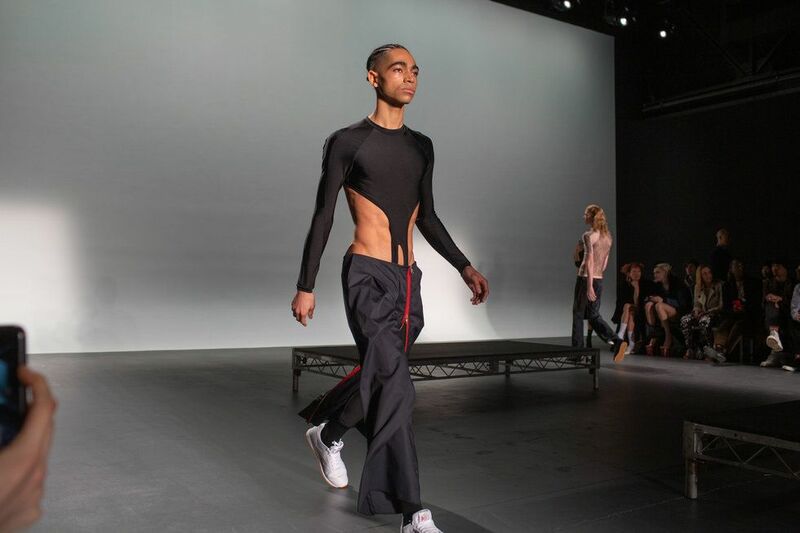 It's something that highlights all of my male garments and transforms them into something very queer." Here's everything else you need to know. Nihl's fall 2019 collection was full of revealing pieces. Leotards were low-cut to reveal hipbones and spandex tees had cut-outs to show male cleavage. 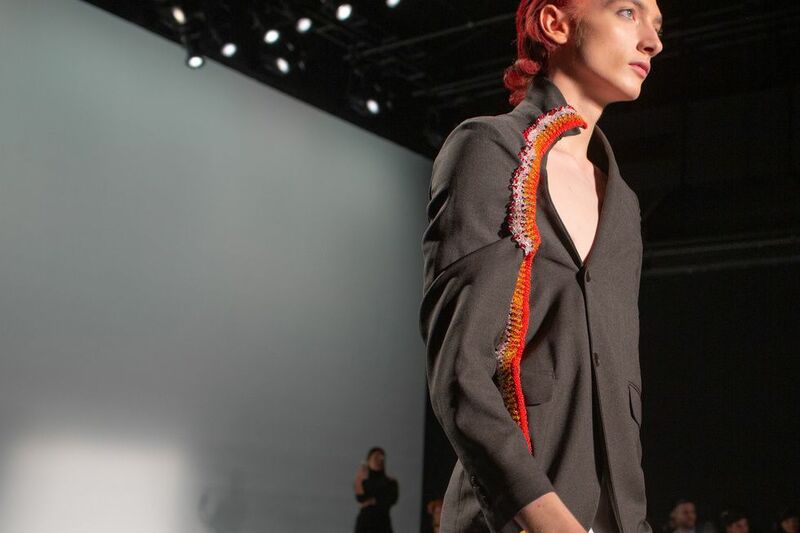 "It's about subverting male stereotypes and I'm always trying to find the most interesting garment to splice," Grotzinger told us backstage after the show. Nihl looked at the Midwestern American video gamer both for aesthetic references and conceptual ideas. 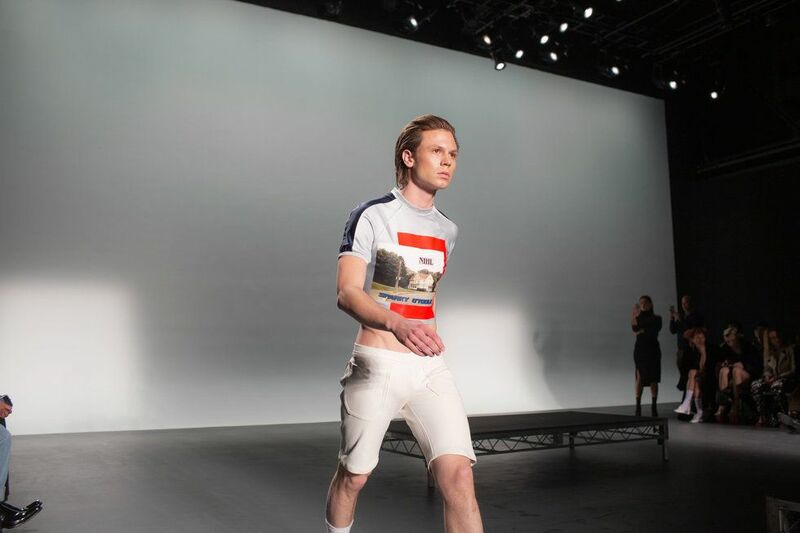 In the collection were khakis, pants spliced into shorts, and plenty of sneakers, for example. He also developed an imaginary conflict between the gamer and a militant father to create awkward and unique contrasts. 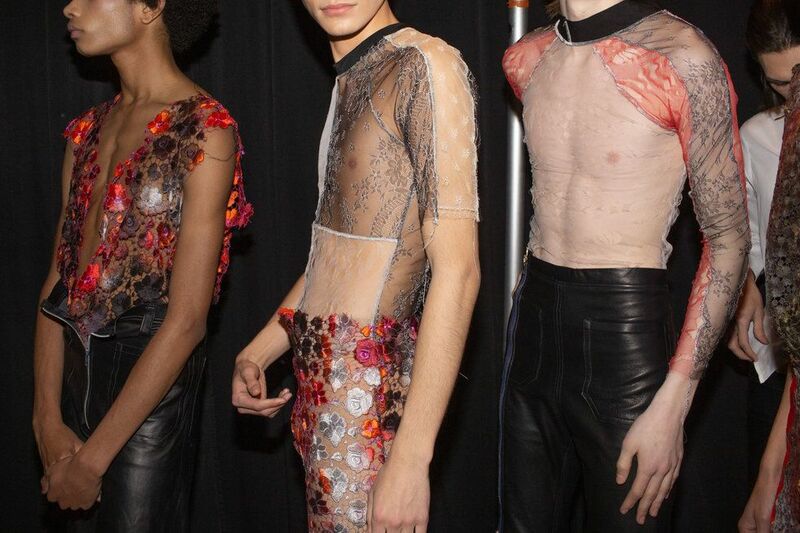 Taking cues from Nihl's previous seasons, the designer played with flowery embellishments on men's clothing. Button-down tops were reconstructed to be asymmetrical with strips of lush, colorful beading. Trousers were reimagined from bright orange floral lace. Nihl juxtaposed garments that took inspiration from classic uniforms (like dungarees and military-style tops worn in the Navy or Amy) with athletic tops and cargo shorts. According to the designer, this was a way to show a series manipulations "which intend to queer-ify two conflicting identities." Within the collection, Nihl told PAPER he created various male identities which have been "subverted into an alternative queer fantasy." 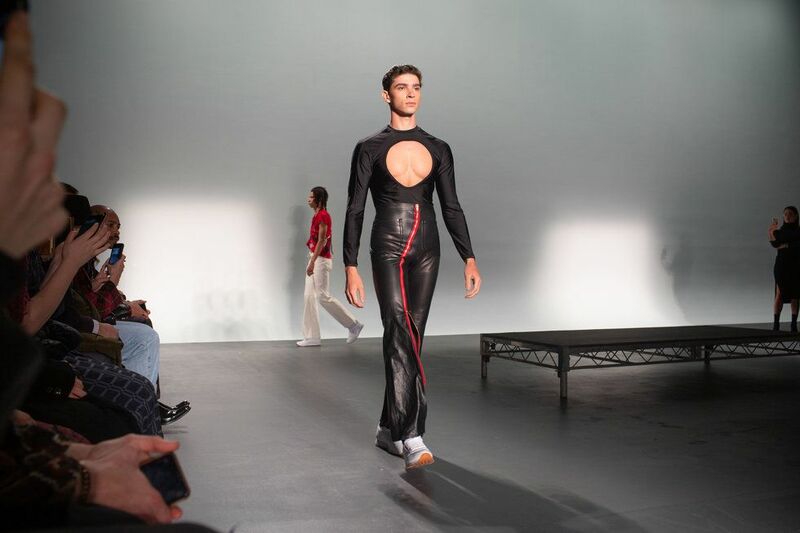 Among one of the most memorable fabrics of the collection were the slick leather jumpsuits that were unzipped to reveal the models' chests. Leather bootcut pants were covered in zippers that either ran down the entire leg unzipped to reveal hints of skin.